Hello ALL! This is my first post on the site, although I have been lingering for about a month now reviewing parts and other peoples builds. I will say this site has greatly helped me in choosing parts and making my first PC build a lot more fun! I built this PC mainly for gaming and the casual internet surfing. Hope you enjoy! CPU: I wanted to "future proof" my build and went with the i7 processor. Nice speeds and works well for what I intend to use the PC for. CPU Cooler: After debating if I even needed a cooler, I went with the NZXT Kraken X61 for my build. The install went fairly easy. I will say the directions are rather "bland". This thing looks nice in my case and has been doing what it's supposed to do. Motherboard: Wanted something with blue accents and this one fit the bill. Does what it's supposed to. 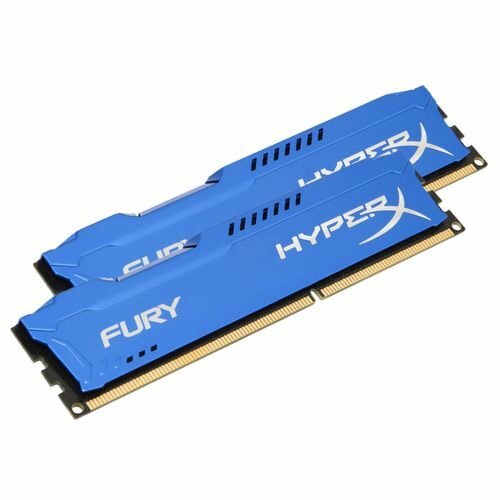 Memory: Went with 16GB of RAM and liked the look and color of the Kingston HyperX Fury. Storage: After lots of review reading, I went with the Samsung 850 EVO-Series 500GB SSD. Let me tell you this thing is FAST and I highly recommend it. Windows 10 boots up in less than 10 seconds from a complete shutdown. 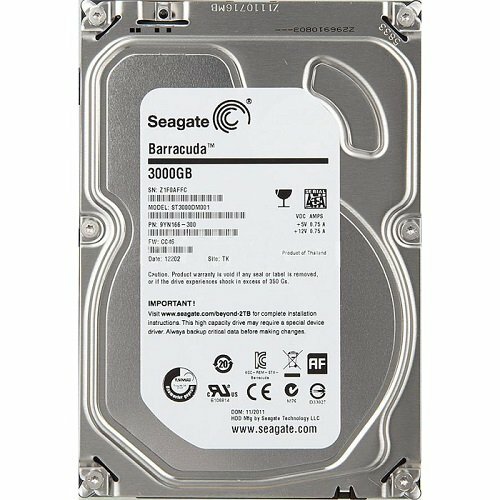 I also picked up a 3TB Seagate Barracuda hard drive for file storage. Video Card: I went with the EVGA GeForce GTX 970 Superclocked ACX 2.0 card. I read a lot of reviews on this card and felt it would do the job on the types of games I play. I debated on getting the 980 but for the cost difference I think this card will do the job. I also bought the faceplate for this card for aesthetic reasons, although I do believe that for the price of this card the faceplate should have been included. Case: After having originally bought the NZXT S340, I fell in love with the NZXT H440! I swapped the cases and boy am I happy I did! This case is an absolute beauty and was great to work with. Lots of cable management storage and it comes preinstalled with 4 fans. Nothing but great things to say about this case! Power Supply: After buying the EVGA graphics card, I decided to stick with the EVGA power supply. Does what it's supposed to do. Lighting: I went with the HUE+ from NZXT! These lights are beautiful and easily installed. The CAM software that is included makes it easy to swap the colors and lighting patterns. This same software also controls the NZXT Kraken. I would recommend this lighting! Hope you guys enjoy my first ever PC build! Feedback/Comments welcome! You put some really nice components into this system :DD it looks really good. Some minor things i would change would take out the drives cages you arent using for an improvement on airflow. I would also change the ram sticks so they match the colors on your dim slots (this puts them in dual channel) other than that, maybe pulling the cables straighter and near the top rear exhaust fan (the lone wires there should be moved to the back for a cleaner aesthetic) Try to pull the cables back more so that only the connection and a little bit of the wire shows. Other than that, The build looks lovely! Bahh, those ram sticks always had compatibility problems. Linus reviewed them once and he said he'd rather get new sticks, but kept them in there for the review because that's all he had. They don't have the feature to actually turn off the top lights, which can be annoying from how much they light up and blink. But eh, that was years ago. And oh crap, he did put the Ram sticks in 2 separate channels lol. I have to say he chose the ram pretty good though, unless he's going for very large virtualization or using VMs, I don't think he needs high bandwidth ram. 1600mhz DDR3 showed to be fairly a good choice with gaming because of it's low CAS latency (Plus it's cheaper than higher mhz ram :P). ya putting the ram in the same colored slot is better for performance. For gaming you won't even notice it. If he decides to start zipping up alot of massive files then sure, he'll see a difference. Here in my fridge, just bought this new garage. Its fun to drive up the Lamborghini hills.But do you want to know what I like more than this garage? A small loan of a million dollars This computer. Nice work! hahaha thanks for the feedback! Honestly one of the better looking H440s on this website. Glad to hear that this is your first build. You will NOT be disappointed:)+1! thanks for the feedback and compliment! much appreciated! If NZXT was a woman I would.. You know what nevermind. Brilliant job on the NZXT H440 build with the Kraken and Hue+. It looks amazing and very well done. Anybody that knows me on this site knows that I am in love with NZXT products and especially the Hue+, so I may be a bit biased. Only recommendation I have is to get some cable sleeves to finish up that clean cable management you've done. i completely agree! from my experience with this build, NZXT makes some great products! Nice build! And by the way, your ram needs to be one slot over so it can be in dual channel. thanks guys! this has been correct but the current pictures does not reflect it. appreciate the heads up! No one is gonna comment on the RAM sticks being in 1-2? Your RAM sticks are in slots 1-2.
thanks for the heads up. that was correct, but doesn't reflect in the actual pics of the motherboard. Sick build. Really clean and well put together. I like the lighting effects with the white case. The 970 is a nice card. As for the RAM, I'd recommend to put the RAM in the like-colored slots in order to take advantage of the dual channel. You can do a quick Google search for help. Also: If you ever look to upgrade your GPU, then you're going to want to upgrade that PSU. The 970 is pretty powerful, but if you went up to a 980 ti, go with GPU in SLI, or decide to OC a CPU or GPU(s) then you're gonna get close to capacity. Looked through the comments to make sure the RAM slots were addressed. I noticed this as well. I really like the Blue/Purple lighting effects going on here, haven't seen something like that before and it looks amazing! thanks! the Hue+ lighting is amazing. Nice build, and congrats on getting featured! The only thing that could make this better are some custom cable extensions. thanks! the custom cable extensions are actually in the works! appreciate the feedback! Saw this build on Booted Finale last night, I hoped this would be the winner. The white H440 is a beauty, and your implementation of the Hue+ was what set it apart from the other white H440. Keep it up! Beautiful build and parts. Congratulations! However, I'm not sure if I agree w/ your comment about future proofing the CPU as this one has been out for two years now and there are several newer ones on the market since. Regardless, it's a great CPU that should provide plenty of power for your gaming needs for many years to come. Enjoy! thanks for the feedback! completely agree with your comment on the CPU, but for my needs, I'd consider this one "future proof" for at least a couple more years. Hence the quotations. Tongue and cheek future proof. +1 for our builds looking identical. Love the parts you chose as they are similar to mine as well. Good job brother! thanks man! nice build for you as well! Nice part choices, and great cable management. just get the Windows 10 USB installer. you'll install Windows via the USB port. hope this helps! it's a beautiful case and I highly recommend it. kk thanks for the recommendation. purple drank is always good! thanks for the feedback! Just curious as to why would get a micro ATX for a mid case? Limited color choices? Other than that, wicked build , and grats on the feature! This is one i found within the site! I am currently using a Z97 and love it, It's quite a popular mid range board. If you're ever looking to color coordinate, you can filter parts by color when you select them! Pretty awesome build! Only thing I really don't like is the motherboard. 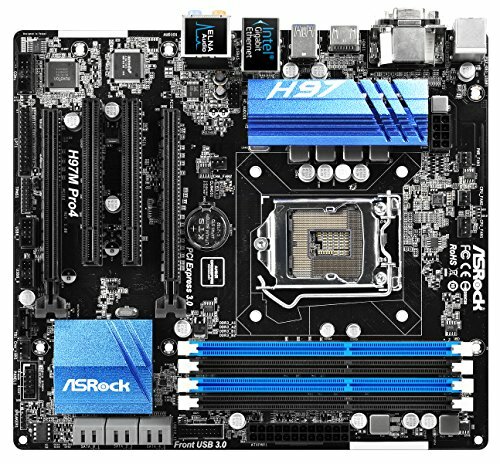 ASRock is a good brand, but I feel with the budget you had, you could've gotten something a lot better looking and more feature-packed. Otherwise, awesome build. thanks for the feedback! what would you have recommended? it's not the cheapest lighting but it's certainly beautiful. I had to wait a week for NZXT to get more supply of it. It was sold out for a couple of weeks. It's easy to install inside your case and the CAM software that comes with it is a nice feature! Solid build! You didn't overprice anything and got the best bang 4 ur buck. I would've recommended the r9 390 because the 970's 3.5GB of VRAM will become a problem when games start utilizing up to 4GB of VRAM. The r9 has 8GB which is quite enough to cover all games on the market. thanks for the feedback! who makes the r9 390? Question: given that you're running a non-overclocking CPU, what benefits do you see in having such a nice cooler? Not a criticism, just curious about your thought process and what you see now that you've got it together. honestly, I thought it looked awesome and really adds to the aesthetics to my case. I love NZXT and liked the idea of the extra lighting feature inside the case. The CAM software that came with my Hue+ also controls the water cooler lighting. when i decide to upgrade the CPU in the future, i'll be ready to go. Thanks for the feedback! I taped off and then painted the tubes on my h110 watercooler white, you might consider it if you ever get really bored and want to mod something. In the end it'll look great with color changing lights. do you have any pics of that? I'd like to check it out! thanks for the feedback! (id refer to your MOBO manual but) Usually you put the first RAM stick in DIMM 2 and then the second stick in DiMM 4. You want to either put them both in the black slots, or both in the blue slots. haha thanks Khas. this has actually been fixed but the current pictures do not reflect that change. thanks for the heads up! Nice build and congrats of featured! +1 but i don't understand why you got such an expensive cpu cooler when your cpu isn't overclockable? thanks man! i liked that cooler and had the funds to go ahead and get it now. when i decide to upgrade CPU i'll be good to go! You could've used that money toward a better CPU and saved money by not buying your current one. Nice build. One criticism I have is about your cooler. Why did you liquid cool a non overclockable processor? thanks for the feedback! i liked the look of that cooler with my case and when i decide to upgrade the CPU everything will already be in place! I understand. Just a heads up, when buying your overclockable processor, buy a Z97 motherboard. You cannot overclock on a H97 board. If you are planning to get an OC platform I'd suggest waiting for i7 extreme series of Skylake to be launched, 2011-4 or whatever. There will most probably be only one chipset, games in the future are going to be able to make use of more and more cores and you would be able to SLI better due to the higher number of PCI-e lanes that comes with the intel 'enthusiast-ic-er' chips. thanks for the information! will certainly look into it in the future! Why did you go with a liquid cooler when you don't have an unlocked cpu ? because it looks awesome inside my case :) haha no other reason than that. strictly for aesthetic purposes. Nice, case, nice lights, nice build! my friend is looking for something almost EXACTLY like this! that's pretty awesome. Wait you were on booted right? Not sure about that mobo specifically, but aren't 2 sticks usually supposed to go in slots 1 and 3 or 2 and 4 for dual channel? Nice build! I really like the color scheme! I don't know how but when my computer is fully shutdown, WIndows 10 boots up to the login screen in about 5 seconds and takes about another 2-3 seconds to load the desktop. Love my H440, debated the S340, glad to hear you're enjoying the H440 too! Cheers on the build I like the blue and white theme, and high quality parts. Hmm, is the 550w PSU a bit low for the 970? thank you sir! definitely wasn't expecting a "feature build" since there are many amazing builds on this site but I am honored! more so for the looks :) and if i ever decide to upgrade the CPU i'll be set! thank you sir! appreciate the feedback! thanks for the feedback! i liked the cooler and when i decide to upgrade CPU i'll be good to go.